In the "Old" line of products you will find a brandy and two grappas, which have their time spent in the barriques to thank for their aroma, style, and deep, warm color. Purist Florian Rabanser uses small oak barrels, which were previously used by the winemakers of Austrian Burgenland in the manufacturing of their sweet wines, for storage during the maturing process. a considered low crop quantity and maturing in Tonneaux; ruby to dark garnet colour; typical for variety and pleasant on the palate; soft and elegant, 12 month maturation in Tonneaux. Best paired: to game, wild poultry, darker meats and cheeses. 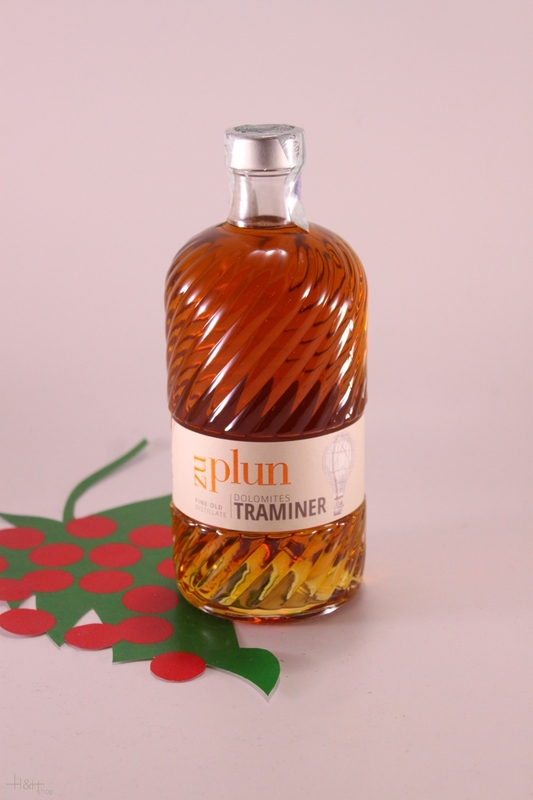 Grappa Treber Pircher 1 lt. - South Tyrol 20,20 EUR / 20,20 €/lt. 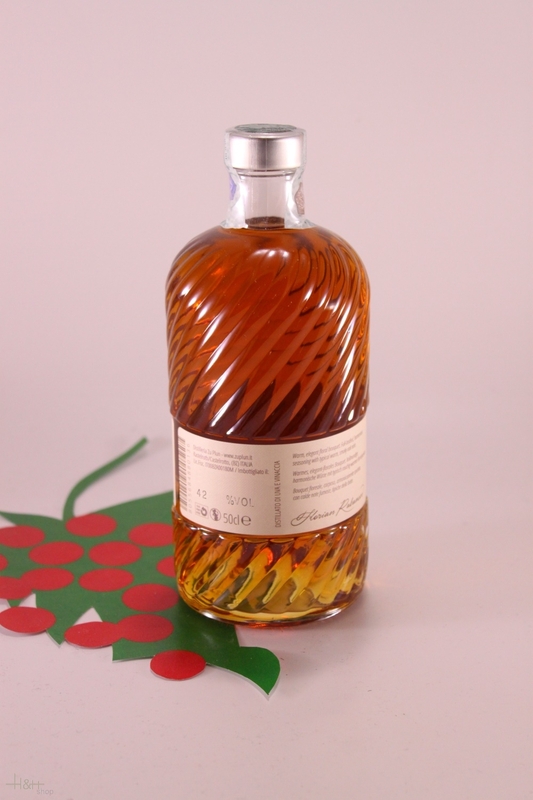 Grappa Gewürztraminer Riserva Roner 70 cl. - South Tyrol 73,65 EUR / 105,21 €/lt. Grappa Gewürztraminer 50 cl. - Walcher South Tyrol 23,10 EUR / 46,20 €/lt. Grappa Barrique Saint Magdalener 50 cl. - Bernardi - Walcher 25,80 EUR / 51,60 €/lt. Grappa Lagrein Riserva Imperiale 50 cl. Walcher South Tyrol 38,65 EUR / 77,30 €/lt. Grappa Chardonnay 50 cl. - Walcher South Tyrol 22,10 EUR / 44,20 €/lt. Grappa d'Oro 40 % 70 cl. - Distillery Walcher 21,95 EUR / 31,36 €/lt. Grappa Gewürztraminer Riserva Imperiale 50 cl. Walcher South Tyrol 38,65 EUR / 77,30 €/lt. Grappa Gewürztraminer 50 cl. - Bernardi - Walcher 25,80 EUR / 51,60 €/lt. Grappa La Morbida Roner Magnum 1,5 lt. - South Tyrol 77,20 EUR / 51,47 €/lt. Grappa Gewürztraminer 70 cl. - L. Psenner South Tyrol 25,55 EUR / 36,50 €/lt. Grappa Sauvignon Roner 70 cl. - South Tyrol 32,55 EUR / 46,50 €/lt. Gin 50 cl. - Hofbrennerei St. Urban 46,90 EUR / 93,80 €/lt. Grappa Sauvignon Blanc 50 cl. - Walcher South Tyrol 23,10 EUR / 46,20 €/lt.